A phlebotomist is a medical assistant who specializes in collection of blood and other tissue samples; for the purpose of laboratory analysis. This comprises the primary jobrole of a phlebotomist. Any healthcare team is incomplete without a phlebotomist. Considering the importance of blood sampling and analysis for detection of almost any infection or disease, a phlebotomist plays a direct and significant role in modern medical treatment methodology. What All Is A Phlebotomist Required To Do? 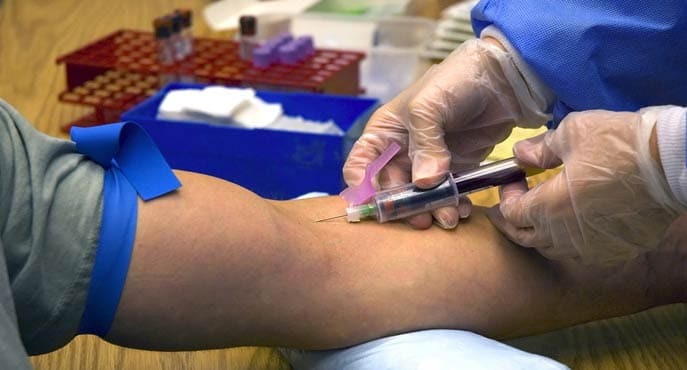 As phlebotomy is an invasive procedure (requires puncturing the skin) and involves blood, it is important that an aspiring phlebotomist does not get nauseous or dizzy at the sight of blood. In fact, someone in a phlebotomy profession usually has to deal with nervous patients who are anxious and fearful of getting a needle stuck into their body for drawing out blood; or is afraid of contracting an infection from the needle. The patient needs to be handled calmly and professionally, and persuaded with confidence for allowing the procedure to take place. On one hand, the phlebotomist needs to hurry through a busy day with patients waiting in line; and on the other hand, the phlebotomist needs to be sensitive, caring, and tolerance with the anxious patient. Hence, the phlebotomist’s work comprises of two aspects – Technical, and Human. Human Aspect: Consists of dealing professionally, sensitively, and emphatically with the patients. These dual roles make a phlebotomist’s role interesting and challenging. Sometimes, the phlebotomist may be a part of an emergency medical team or an emergency medical situation. Ensure that the sample is correctly labeled before storing it or handing it over to the lab analysis team. The slightest error in labeling during emergency situations can lead to major errors in treatment and even prove fatal. Also, the equipment has to be sterilized, and the storage of blood sample has to be as per appropriate medical standards. Hence, phlebotomy can be a fulfilling and rewarding career in all terms – professionally, financially, and personally. With a large positive demand-supply gap, phlebotomy is surely a good career for the ambitious minded person, if s/he can efficiently learn to handle the challenges involved in the profession. Next Next post: Do You Want to Work as an Ultrasound Technician?